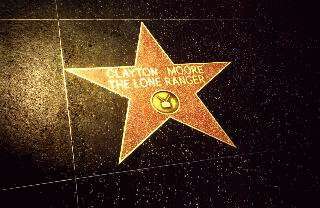 Clayton Moore appears on the following television shows. Important dates in The Lone Ranger time-line. 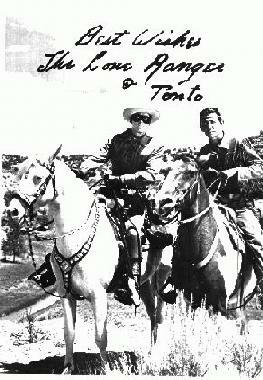 1949      The first episode of The Lone Ranger,"Enter The Lone Ranger,"
airs on ABC-TV, on September 15. 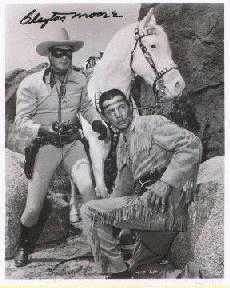 Clayton Moore and Jay Silverheels are the stars. 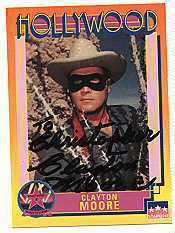 1952      Clayton Moore is replaced by John Hart as the Lone Ranger. 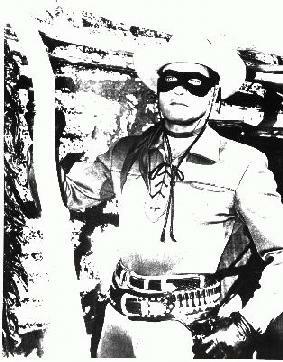 In 1954, Clayton Moore returns to his role as The Lone Ranger. 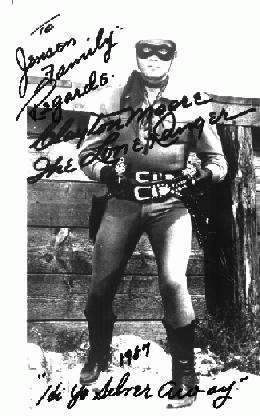 1954      Jack Wrather buys all rights to the Lone Ranger from George W. Trendle. 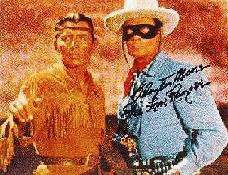 Clayton Moore and Jay Silverheels. on in reruns until 1961. John Todd, radio's Tonto, dies at the age of 80, on July 14th. 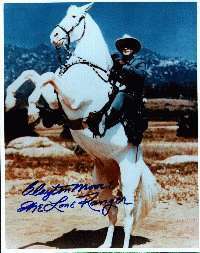 starring Clayton Moore and Jay Silverheels, is released. age 62 on March 1st. of Michael Rye and Sheperd Menken are featured. at age 87 in May. Ranger on the radio, dies at age 68 on June 28th. 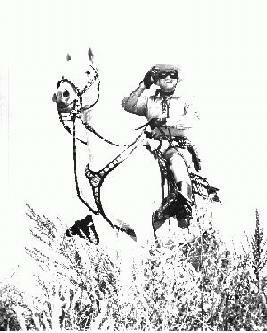 1980      Jay Silverheels dies March 5.
series, premieres on CBS-TV, September 13th. stars Klinton Spilsbury and Michael Horse. 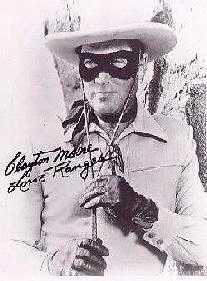 Moore wears the mask of the Lone Ranger again.